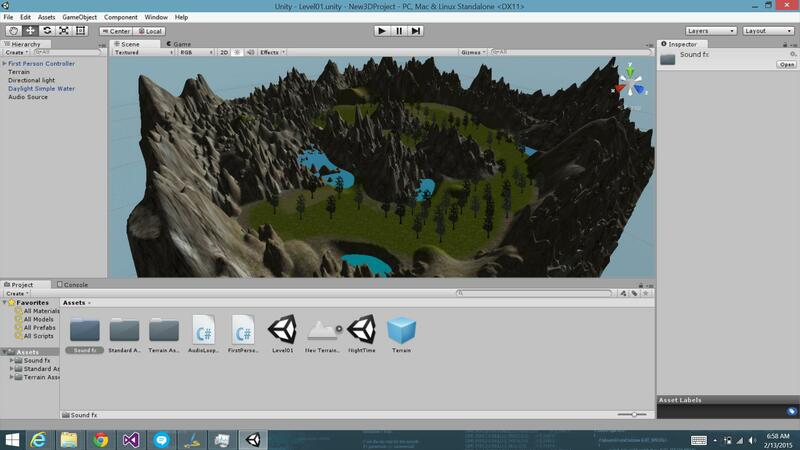 Last night at Philly GameWorks in Malvern, we learned the basics of using the Unity game engine to create an outdoor world you can then explore using standard first person gaming controls. We’ll be working more with Unity and other game engines at the meetup, and we want to see you there. There should be no worries that you haven’t been keeping up as we strive to have meetups that cater to the beginner and the Philly GameWorks enthusiast. 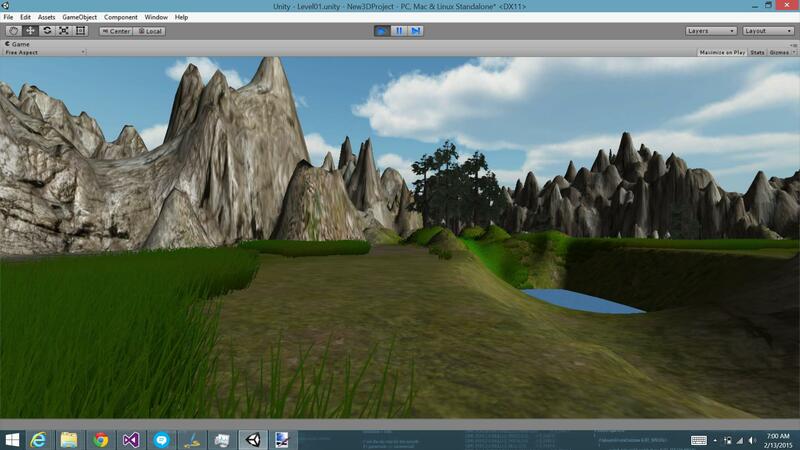 We hadn’t written a single line of script code and we had built a world that we could explore in a first person viewpoint complete with a beautiful sky, mountains, hills, trees, grass and environmental sounds. We used the standard installed Character Controller package to insert a First Person Controller that you could use to walk around your creation when playing the game right inside Unity. It is cliche to say a journey of a thousand miles begins with a single step. Nevertheless, starting a journey to become a software developer is going to take awhile. Therefore, my advice is you start today. When I related how my journey began when I was ten years old, it isn’t to scare you into believing that you only have a few decades to go. Not every moment of every day of that time was spent improving as a developer. I gave up on the whole thing for a few stints of years at a time. Then I became reinvigorated and got a few jobs. Next thing you know, it’s a career.